ProtectLife’s technology is a spectrum-based multi-analyte detection platform designed to enable quick, easy, and simultaneous monitoring of biomarkers in a micro-sample. Combination of multi-test reagent discs, such as the complications of diabetes panel, renal panel, liver panel, cardiovascular panel, comprehensive metabolic panel and Albumin/Creatinine Ratio (ACR) urine test, the analyzer is capable of testing up to 10 markers in one time. 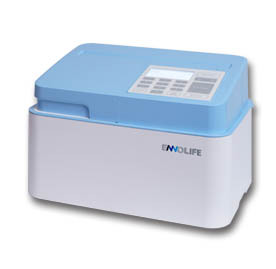 With a small volume blood requirement, rapid analysis capability and easy operation convenience, the analyzer is suitable for the designated Point-of-Care locations, such as clinics, care centers, a nursing home, ambulance, community health centers, schools, corporate health centers, remote areas, medical and clinical laboratory and other applications. 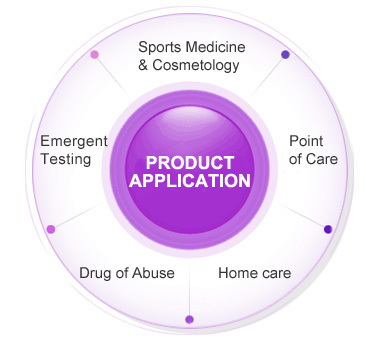 In addition, based on easy to use, small size, cost-effective advantages, the product also have a highly potential for future expansion to the counter- sales (over the counter, OTC) and general household use as an important tool for preventive medicine and personalized healthcare management. Emergency rooms, Ambulances, Blood station, Operating room etc. Point of Care：Clinics, Pharmacies, Fitness centers, Local citizen centers, Community care points, Health centers or Remote areas, health posts, etc.